To be safe when using your trampoline all of its parts must be in good condition. 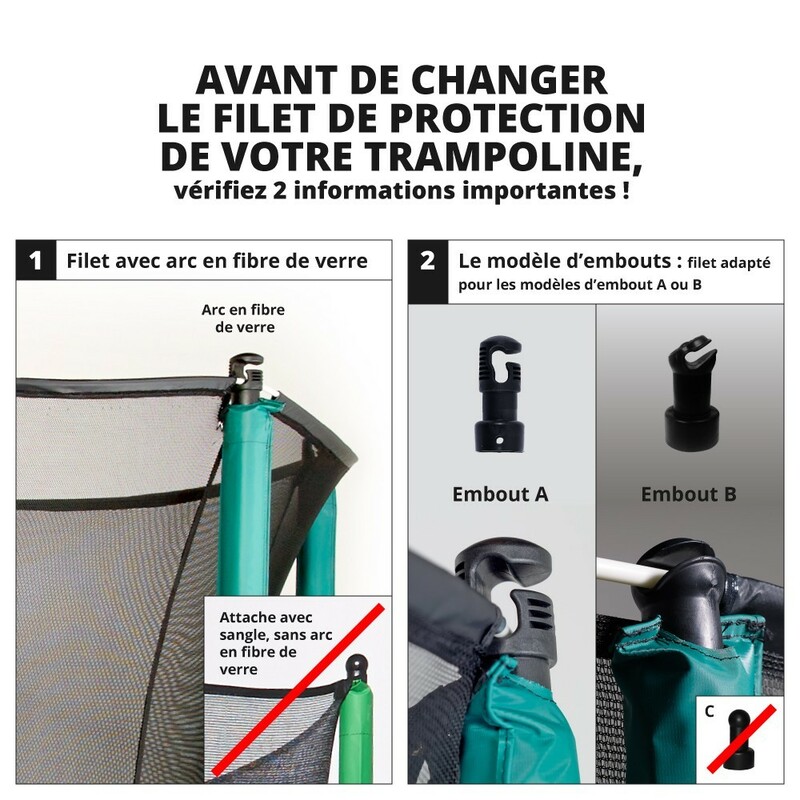 The safety enclosure is one of these parts that is very important for safety reasons as it prevents jumpers from falling off the trampoline while using it. We offer a replacement for just the textile net for round 10ft/300cm trampolines. 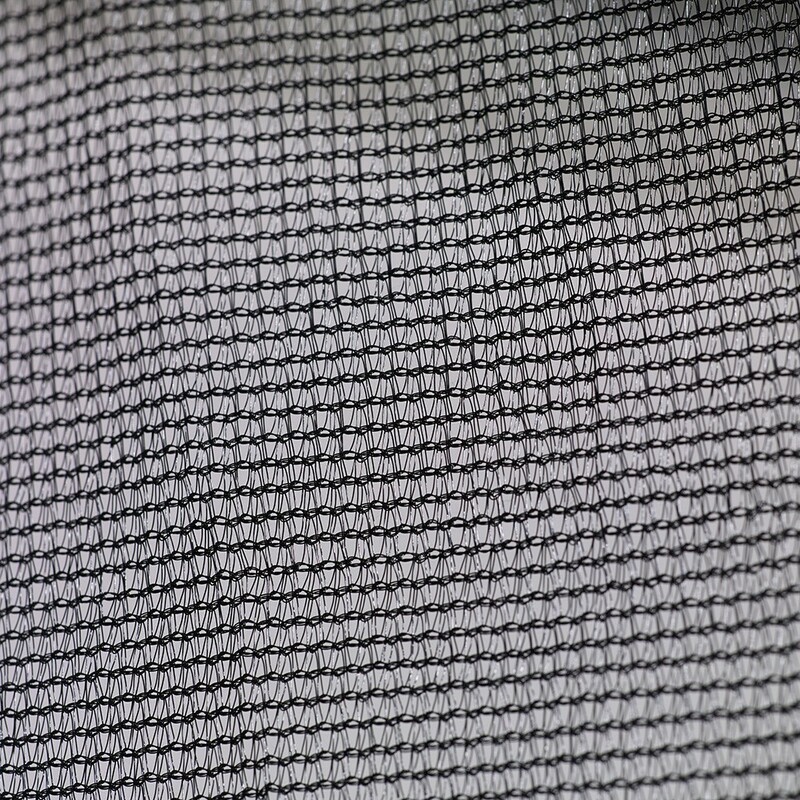 - This replacement medium textile net is compatible with our 10ft. Jump'Up 300 bought after March 2016. This net is also suitable for other trampoline brands that have the same technical features. 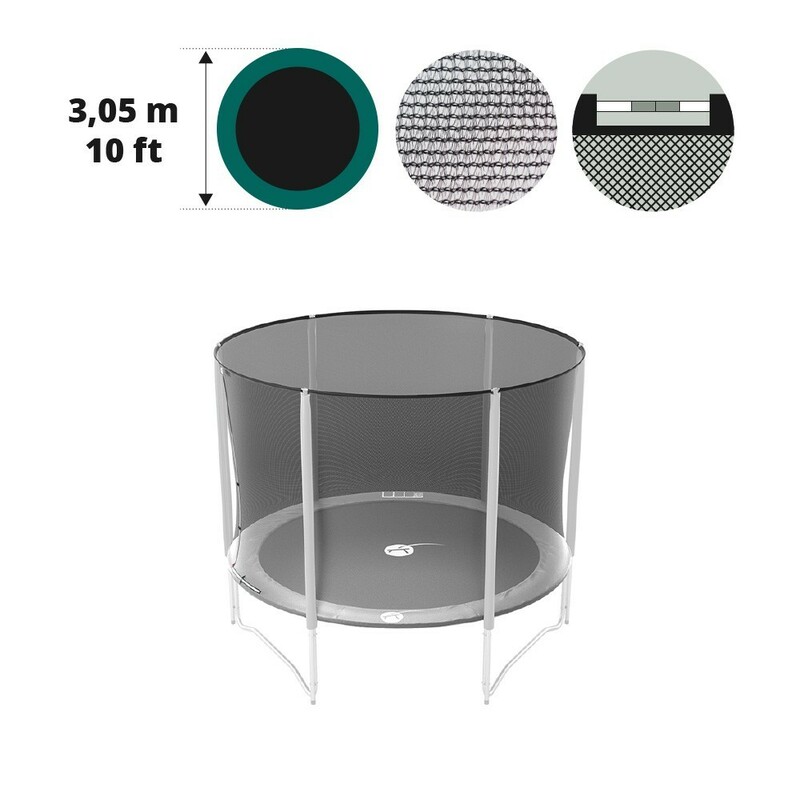 The trampoline must have an overall diameter of 3.05m with 6 net posts with 6 caps. The top of the net must be secured with fiberglass rods. - Access to the trampoline is through a zip door. 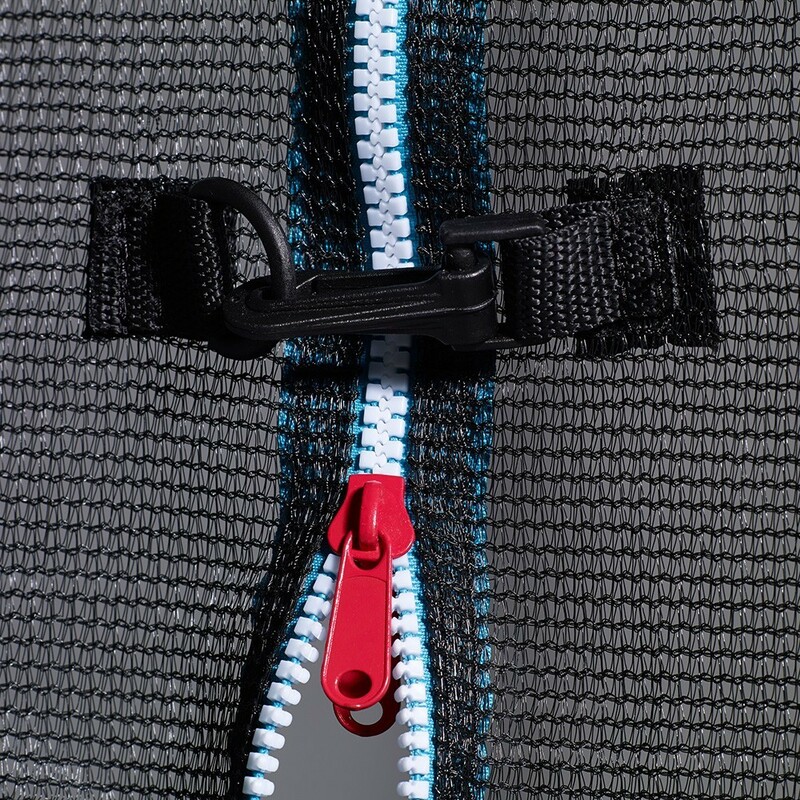 For additional safety, clips are found on the outside of the door, to ensure the door is closed and prevent anyone from falling from the trampoline. This system provides a quick and easy opening/closing for the net door. - The net is secured in two areas. At the top, fiberglass rods (sold separately) slide into the net's textile sheaths which are then slotted into the caps at the top of the net posts. 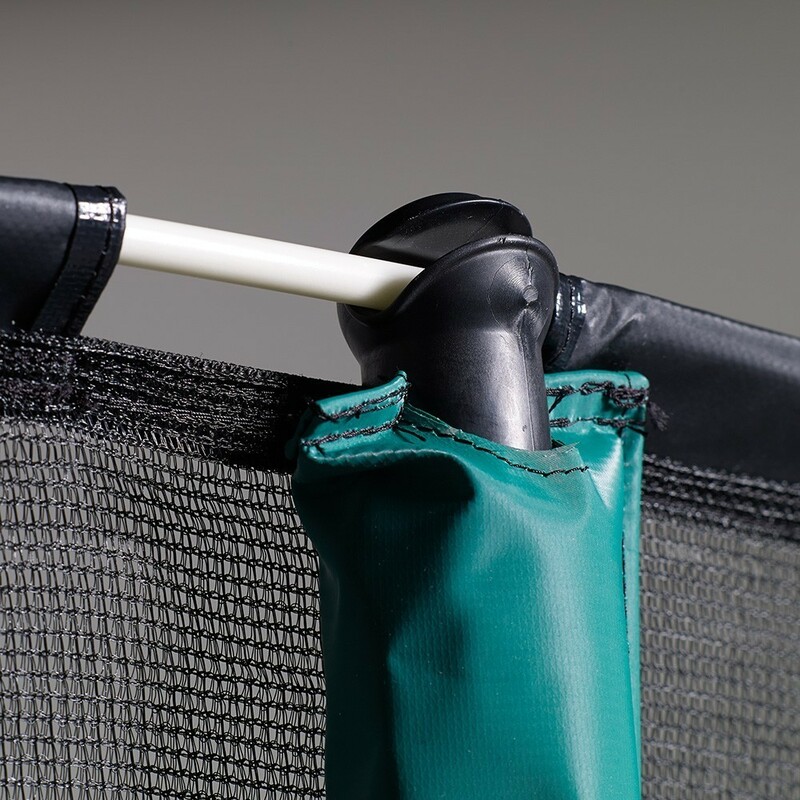 At the bottom, elastic straps with hooks are attached under the trampoline, on to the jumping mat hooks.